Once you have setup your InMotion Hosting web hosting account, you will need to point your domain’s name servers to InMotion Hosting so that the Internet can see your hosted files. If you used our training video on registering a domain through GoDaddy, then you will need to complete the steps shown in this video for your site to display through your new InMotion Hosting web hosting account. Important: If you’ve registered your domain directly through InMotion Hosting to take advantage of their free first year of domain registration, you can skip this step and move on to Lesson 04 above. By registering your domain through InMotion Hosting directly, you are able to take advantage of InMotion’s pre-configuration of your domain name. Verify your InMotion Hosting web hosting account. Sign into InMotion Hosting’s Account Management Panel (AMP). Use InMotion Hosting’s AMP to get your exact name servers for your account. 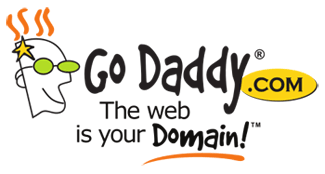 Login to GoDaddy.com and access their Domain Management system. Access your domain details screen. In the video, I accidentally typed ns1.inmotionhosting.com. Make sure you do not make the same mistake I did or else your website may have performance / display issues.